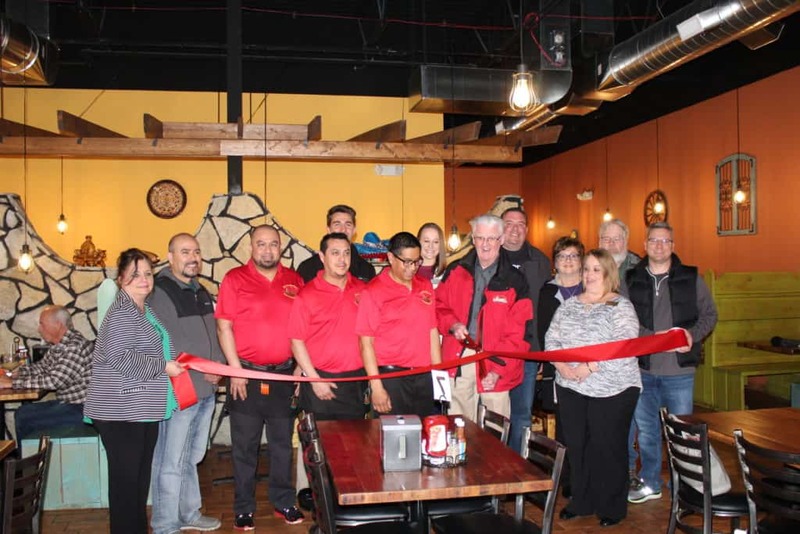 MINOOKA – The Channahon Minooka Chamber’s recent Business Spotlight highlights Los Campesinos Mexican Grill in Minooka. The Mexican restaurant is located at 104 Ridge Road, Suite 124, in Minooka and has 8 employees, said owner Felipe Rebollo. It specializes in fajitas and molcajetes, as well as fast and friendly service. The restaurant also is co-owned by Jose Bustamante. “We are a family-friendly place and our goal is to bring together family and friends to eat good food and make wonderful memories,” Rebollo said in a news release. Los Campesinos recently joined the Chamber and a ribbon cutting ceremony was held in April welcoming the business to the Chamber. “We welcome Los Campesinos to the community and the Chamber. For lunch or dinner the restaurant features delicious food and a variety of options,” Christina Van Yperen, Chamber Executive Director said. The restaurant has a large lunch menu. With fast service Rebollo said they are a great option for lunch and don’t have to worry about getting back to the office in time. Customers may also call ahead so their meal will be ready when they arrive. Los Campesinos is open Monday through Thursday from 11 a.m. to 9 p.m. and Friday and Saturday 11 a.m. to 10 p.m. For more information search Los Campesinos Mexican Grill on Facebook.